In a landmark decision President Muhammadu Buhari Wedneady proclaimed June 12 as the country’s Democracy Day to be celebrated as a public holiday from next year in celebration of the momentous June 12, 1993 elections won by Chief Moshood Abiola. 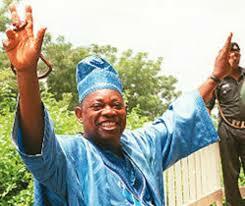 Chief Abiola, is also to be honoured with the nation’s highest award conferred on all heads of state. Besides, Buhari also announced that the late human rights lawyer, Chief Gani Fawehinmi would also be awarded the country’s second highest award of the GCON in honour of his role towards actualising the June 12 presidential election. Abiola’s running mate, Ambassador Babagana Kingibe is also to be invested with a GCON. The development was announced on the president’s twitter handle and retweeted by Special Assistant on Diaspora, Hon. Abike Dabiri-Erewa. For the past 18 years, Nigerians have been celebrating May 29th, as Democracy Day. That was the date when for the second time in our history, an elected civilian administration took over from a military government. The first time this happened was on October 1st, 1979. Accordingly, after due consultations, the Federal Government has decided that henceforth, June 12th will be celebrated as Democracy Day. Therefore, Government has decided to award posthumously the highest honour of the land, GCFR, to late Chief MKO Abiola, the presumed winner of the June 12th 1993 cancelled elections. His running mate as Vice President, Ambassador Baba Gana Kingibe, is also to be invested with a GCON. Furthermore, the tireless fighter for human rights and the actualisation of the June 12th election and indeed for Democracy in general, the late Chief Gani Fawehinmi SAN is to be awarded posthumously a GCON.